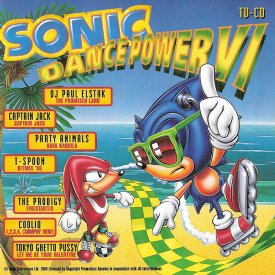 Sonic Dance Power VI is the sixth in a series of pop/techno/electronic compilation albums. Though using the Sonic the Hedgehog brand in its artwork, the songs do not involve Sonic or any related SEGA property. There are two known track listings, depending on where the album was published.